Early in the morning proceed to Pheonix Bay Jetty/Harbour and depart for HAVELOCK by a ferry . Arrive Havelock and check into the hotel. After fresh up head on for the 7th best beach in the world i.e . Radhanagar beach. It's a white sand beach offering picturesque view of crystal clear water, lush green flora & mesmerizing sunrise / sunsets , After have a fabulous time on this beach return to Havelock hotel. After heartily breakfast Check out from the hotel and proceed to Elephanta Beach /Vijaynagar Beach to try exotic snorkelling or to enjoy swimming. Later at 4 pm leave Havelock Island for Port Blair by Boat/ Ferry . 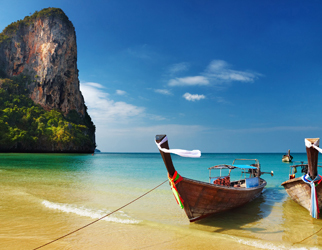 Arrive Port Blair and spend the day at your leisure. Overnight stay at Port Blair..
Today after breakfast proceed to wandoor beach to have an excursion trip to Jolly Buoy Island . 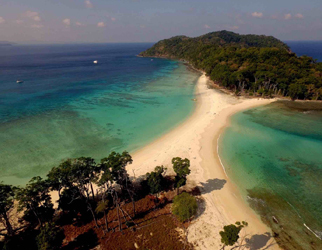 Jolly Buoy Island is most preferred snorkelling place in Andaman. Due to its exquisite environment and clear water customers always cherish the overwhelming sight of coral reefs & marine life either by scuba diving or bottom glass boat ride. After sightseeing return to Port Blair for overnight stay. OR Today let Port Blair city enchant you through its beauty: Visit Chatham Saw Mill (The largest Saw Mill in entire Asia), followed by a visit to Samudrika Naval Marine Museum (Handled by Indian Navy to spread awareness about marine life ), Mahatma Gandhi National Park and Water Sport Complex of Port Blair . After sightseeing delight yourself with short shopping trip to Sagrika Emporium. In evening return to hotel for Overnight stay.. Morning after breakfast check out from the Hotel and then you ll be dropped at Port Blair Airport for your onwards journey …………..